Our comedy show is only one week away and we haven’t sold one ticket yet! We are hoping a lot of people plan to buy at the door!! If at all possible, please join us on Thursday, October 4th at 7:00 p.m. for our first ever Comedy Show to benefit Animal Allies. Also if you can help spread the word. We need to sell at least 50 tickets to break even. 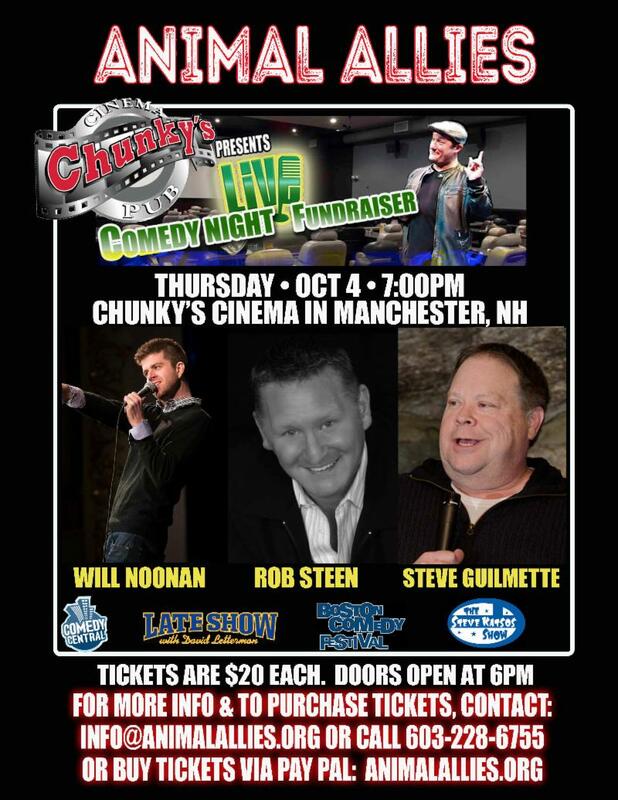 This event will be held at Chunky’s Cinema in Manchester, NH and tickets are $20.00. There will be silent auction items and a raffle. We really appreciate your support, thank you! !